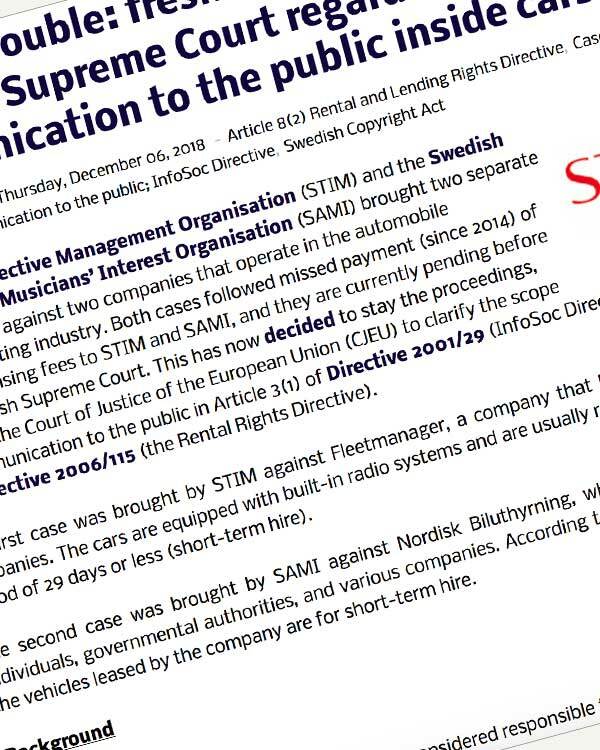 Swedish Collective Management Organisation (STIM) and the Swedish Artists’ and Musicians’ Interest Organisation (SAMI) brought two separate proceedings against two companies that operate in the automobile leasing/renting industry. Both cases followed missed payment (since 2014) of yearly licensing fees to STIM and SAMI, and they are currently pending before the Swedish Supreme Court. 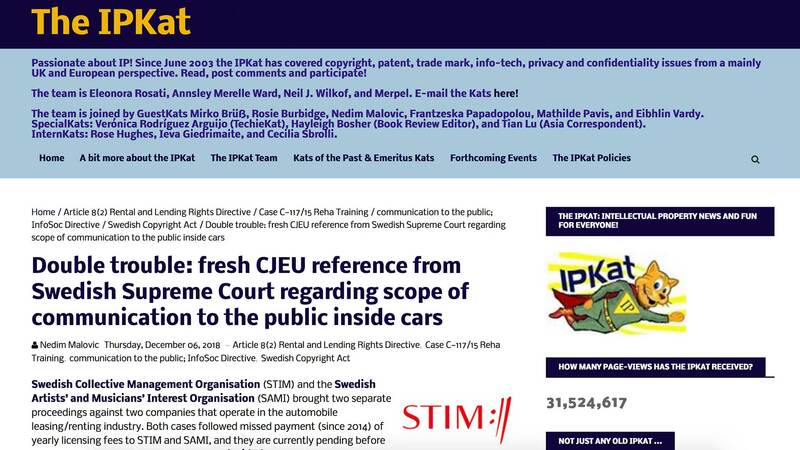 This has now decided to stay the proceedings, and ask the Court of Justice of the European Union (CJEU) to clarify the scope of communication to the public in Article 3(1) of Directive 2001/29 (InfoSoc Directive) and Article 8(2) of the Directive 2006/115 (the Rental Rights Directive).